The Hope Village Relocation to Willow & Lelong Streets was defeated on Monday 18 March 2019. In a meeting at Gardner Community Center that evening (7:00 PM), Councilmember Dev Davis and Mayor Liccardo announced that a decision at the Santa Clara Valley Water District (SCVWD) earlier that afternoon (3:00 PM) would prevent the use of this site for a homeless encampment. The relocation project had also received tremendous disapproval by area residents and stakeholders. Subsequent meetings on the topic of the Hope Village Relocation to Willow Glen have since been canceled. The next open house meeting of the Willow Glen Neighborhood Association will be a Town Hall Meeting with a panel discussion on issues relating to the San Jose Fire Department's proposal to build the new fire station #37 in Willow Glen, long planned on the site near the community center on Lincoln and Curtner Avenues. 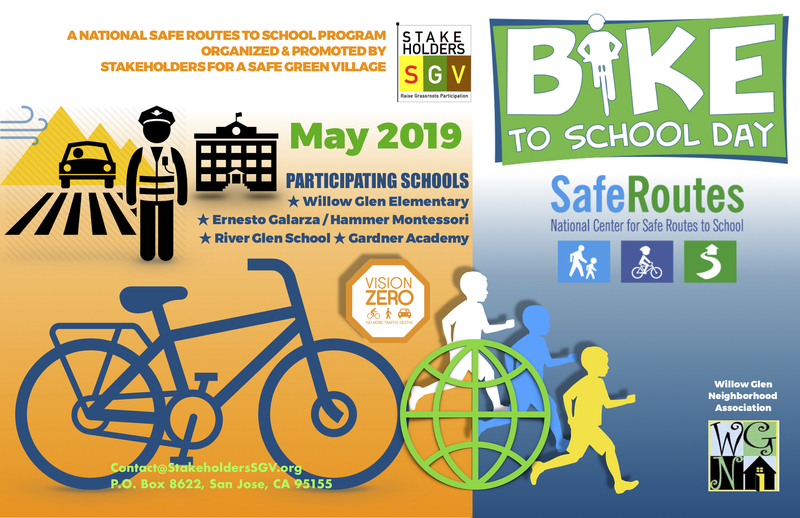 The panel members will include San José Fire Chief Robert Sapien, Jr.; Councilmember Pam Foley, District 9 (South Willow Glen); and Councilmember Dev Davis, District 6 (Central Willow Glen). Additionally, we will have a chat on the San Jose Fire Museum in downtown San Jose, with its mission on educating the public about the history of the San Jose Fire Department. We will be updating this page with more information on this meeting, so please stay in touch. In a meeting at Gardner Community Center later that evening (7:00 PM), Councilmember Dev Davis and Mayor Liccardo announced that a decision at the Santa Clara Valley Water District earlier that afternoon (3:00 PM) would prevent the use of this site. The relocation project had also received tremendous disapproval by area residents and stakeholders. Tomorrow night's meeting on Wednesday 13 March is hosted by Willow Glen Neighborhood Association - WGNA at the Elk's lodge. It's an open house meeting, whereas the city councilmembers, county supervisors, representatives, and departments are invited to attend and speak. The WGNA Board has encouraged Councilmember Dev Davis to participate along with all of the stakeholders in our community in an open house forum. The next open house meeting of the Willow Glen Neighbmeeting of Willow Glen Neighborhood Association will be at the Willow Glen Community Center (2175 Lincoln Avenue, between Malone Rd. & Curtner Avenue. The meeting will begin with a brief review and update of issues by the 2019-2020 Legislative Session by the staff from California Senator Jim Beall's office in the 15th District. The second part of the meeting will include several updates on the Diridon Station Area and the Diridon Integrated Station Concept Plan, a collaborative effort to redesign and expand the station. The four partner agencies working together on the Concept Plan include the California High-Speed Rail Authority (CHSRA), Caltrain, Santa Clara County's Valley Transit Authority (VTA), and the City of San José. In the past, WGNA has also hosted meetings on the Google/Diridon Station Area Plan (DSAP), whereas we will continue to expand on that topic here. Google is working on an application for a master plan development, and the City of San José is preparing to review their application in conjunction with an update to the DSAP. Leading the discussion will be Lori Severino, Civic Engagement Program Manager for the city's DSAP. — Caltrain Modernization Program" or "CalMod"
NEXT WGNA MEETING on the Caltrain Modernization Program" or "CalMod", including its electrification and system upgrades. This meeting is sponsored by UNSCC-United Neighborhoods of Santa Clara County. DATE & TIME: Wednesday 09 January 2019 at 7:00 PM. United Neighborhoods is sponsoring - CalTrain San Jose Electrification’s first public meeting where Caltrain representatives will answer questions about how this affects your neighborhood, homes, and businesses. We expect a large audience since blended Caltrain - High-Speed Rail system specific details are still being incomplete. They will discuss Overview, Plans and Construction Timelines for 880 - Diridon, Diridon - Tamien and Monterey Road Sections, which potentially will have the greatest impact on San Jose neighborhoods. Please submit your concise detailed questions to ViceChair@unscc.org by 6 PM on Sunday, Jan 6, 2019. We will forward a summary of all submitted questions to CalTrain on Monday morning, so they can be well prepared to answer your submitted questions. You can submit questions at the meeting but questions submitted at public meetings many times are not fully answered since the presenter did not anticipate your questions or have an appropriate public answer. What Affects One Neighborhood Affects Us All. Note that WGNA meetings typically occur on the second Thursday of the month. This meeting occurs on Wednesday. SEE THE AGENDA OF RECEIVED QUESTIONS from the public (as of Tuesday 08 January 2019): click here. At the Board and Membership Meeting of the Willow Glen Neighborhood Association (WGNA) on October 11, 2018, the board members issued a position paper to Mayor Sam Liccardo, and the City of San José's Planning Department, supporting the Google Campus proposal & Diridon Station Area Plan. The paper relates to the project on the Diridon Station Area Plan and Google, the Silicon Valley technology company that intends to develop a major transit-oriented campus in the core of the city, expanding the present-day downtown San José. This potential mixed-use master plan development includes offices, residences, retail shops, restaurants, and open spaces, and it's estimated that Google will employ 15,000 to 20,000 people. On September 13, 2018, the representatives from Google visited with the City of San José in the Willow Glen neighborhood to tell us more about its plans, and how that fits in with the City of San José's Diridon Station Area projects. See that news story here, as well as in the below page flip in this article. The Willow Glen Neighborhood Association (WGNA) would like to offer our support and endorsement for the Google Village project in the Diridon Station area in San Jose. As you may know, WGNA – the oldest neighborhood association in San Jose celebrated 45th anniversary in 2018 -- was established for the sole purpose of creating a stronger and more tightly-knit neighborhood. Our Board of Directors is comprised of established professionals with expertise in various fields, including, but not limited to, public safety, education, land development, small business and many more, with the ultimate goal to keep residents informed on a range of topics pertinent to the life in Willow Glen and to act as an agent of positive change by getting involved in advocacy activities on behalf of our members.